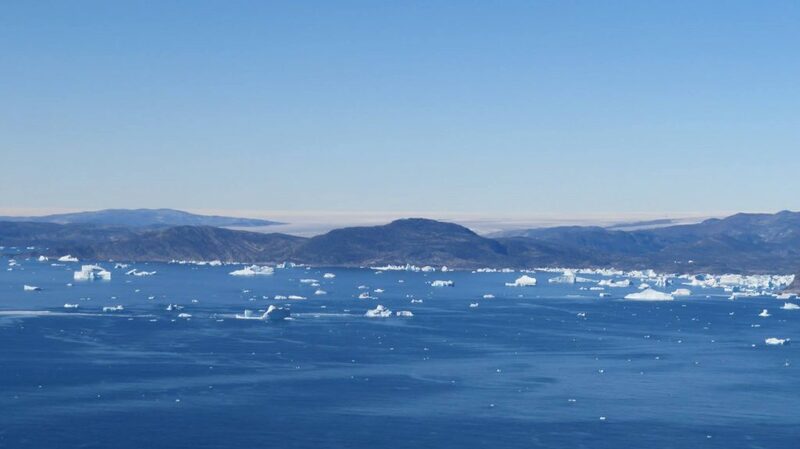 Together with Formula E we tracked an Iceberg from its source our into the open Atlantic in 2016. 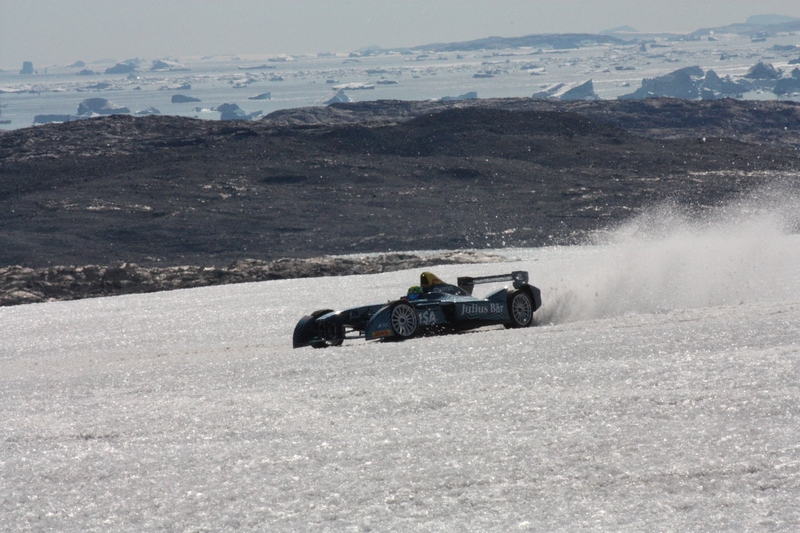 Formula E driving on a glacier in Greenland. 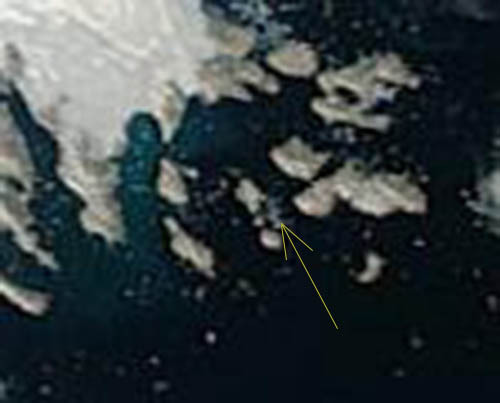 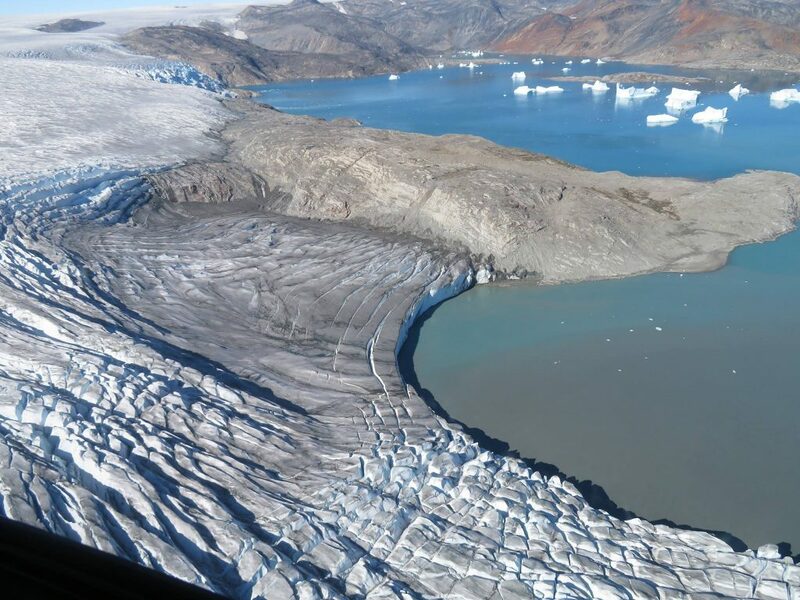 This photo shows the icebergs in the sea – like the one we are tracking from here. Photo courtesy Formula E team.